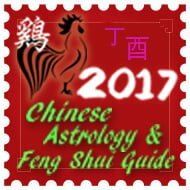 From 5th March 2017 to 3rd April 2017 is the second month of the Ding You year (Yin Fire Rooster year) with the ruling energy of #7 in the central grid. 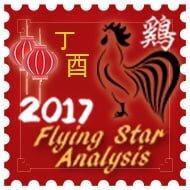 We have an inauspicious #7 star enter the centre this month of March although combined with the auspicious #1 star it should not cause many problems. 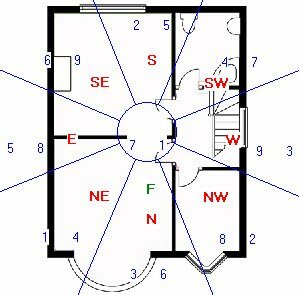 Be very careful in March if your main door, bedroom, lounge or office or any important room is located in the south or north this month. If your office, main door or bedroom is located in the south make sure you place a Wu Lou or six Chinese coins tied in a row with red ribbon for the month of March especially if you are not in good health or feel very stressed. If your bedroom, office or main door is located in the south you must set up a salt water cure along with six Chinese coins tied in a row with red ribbon for the whole year. If you have a main door, lounge, office or any other important room in the north or west please be careful signing papers as there could be treachery in March, just be careful and read all the small print. You can also suffer from someone trying to back stab you in the back or steal from you so place something that is red in colour in the west such as a rug, door mat, sofa throw etc; this will help calm this negative influence. If you have one, I would recommend placing a Wu Lou and set of six Chinese coins tied in a row with red ribbon in the south and east especially if you have an important room like a bedroom, office, main door etc. place some strong water colours in the south (blue and or black) especially if this is an office or bedroom, in fact if you have a bedroom or office in the south you should place a bowl of still water in this room for the month of march – the water must be still and changed every couple of days and daily if you live in a very hot dusty country. Good sectors for the month of March are the northwest, southeast and northeast and if your door, office, bedroom or any other important room is located in these areas your month will be good in March. 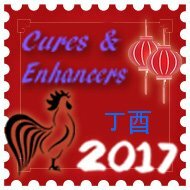 Take a look at the annual cures and enhancers of how you can enhance your month and year even further. To activate relationships in March, you can place something dark blue or black in colour in the northeast and southwest. A quick and easy way of introducing the colour is placing a sofa throw, bed cover, rug, table cloth; it is actually very easy if you think about it. 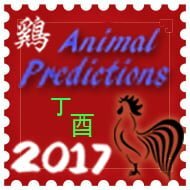 If you use symbolic items in relations you can place a pair of Mandarin ducks or double hearts in the northeast and southwest this month. To prevent legal issues, disputes, gossip and arguments with partners in love or business, introduce something red into the west corner of your home and bedroom or office in March, a quick and easy way of introducing the colour is using a sofa throw, bed cover, rug etc, you can also light a small candle daily if you are experiencing problems on this front but please be very careful with candles and tee lights.